According to a report by The World Bank, the global economy is expected to grow by 3% in 2018, resulting in the creation of thousands of jobs. While this sounds like good news, talent scarcity is expected to hit businesses twice as hard. To counter the talent shortage, organizations will have to look beyond the confines of their enterprise walls to remain competitive. With the talent landscape ready for a paradigm shift, finding the right person for the right project at the right time is increasingly becoming a concern. This is one of the reasons why many legacy enterprises have already started constituting their workforces with a blend of permanent and external workers that are contractual or temporary. Enterprises are also coming to expect their HR departments or staffing firms to provide them with a healthy pipeline of passive candidates. This integrated approach of blending different types of workforces to meet talent requirements has given birth to the concept of Total Talent Management. According to Manpower Group’s study titled ‘The Journey to Total Talent Management’, 54% of HR leaders agree that the future of HR will be based on TTM implementation while only 2% disagree with this prediction. What is Total Talent Management ? Simply put, it means that when an employer has a vacancy to fill, all available options including permanent, contingent, contractual and temporary workers are considered to fill the position. Based on the employer’s requirements and the worker’s profile, hiring managers are able to zero in on a worker who meets their productivity needs and budgetary constraints. Furthermore, when it comes to retention and engagement, employers that follow the total talent management system are able to design approaches that not only cater to permanent employees but also to other types of external workers. In the same study, Total Talent Management is defined as the practice of blending the entire workforce under a single talent management program, preferably provided by a single entity. The study also points to the fact that close to 90% of HR professionals believe TTM will play a bigger role in creating future workforce strategies. Companies of all sizes are facing a talent shortage and it is evident that employers need to look beyond permanent employees and venture into temp employee groups. This raises the need for better sourcing channels, engagement programs, and talent acquisition processes. Traditional HR departments often lack the resources, technology and expertise to cater to all these concerns. With technology breaking down geographical boundaries and inducing mobilization in the talent acquisition process, it’s only a matter of time before every organization starts implementing a total talent management strategy. So, the big question is – “What can organizations do to make the TTM vision a reality, can technology prove to be the icing on the cake”? As enterprises start to take action upon the notion of TTM, they must assess the present and the future state of work and its relationship with technology. What are the resources that need to be in place before beginning the process? What are the technologies that could help in this transition? And how do you prepare for talent mobilization? To be able to launch a successful total talent management campaign, organizations should have access to the right sourcing technology that can cut across geographical boundaries. Hiring Managers should be able to predict talent requirements for the future beforehand, and analytics would come in handy for this. Here are the 4 essential steps to implement before you launch your TTM campaign. Access to Contingent Talent: Knowing the benefits of contingent talent is one aspect, but finding it is an entirely different game altogether, especially for companies who have only ever dealt with permanent employees. If you have an efficient in-house HR department, then forming a strong network of talented freelancers and contingent professionals would be the ideal next step. However, if they lack the skills to hire at scale, signing a reputed staffing agency that specializes in contingent talent is another reliable alternative. Access to Sourcing Technology that Cuts Across Geographical Boundaries: With organizations fighting it out for the top talent, companies need a solid technology plan to source the brightest. While job boards and social media are good bets for the permanent workforce, to attract the best contingent talent they need to go beyond traditional methods. Crowdsourcing-based marketplaces, extended recruiter networks, mobile referral programs, forums, and communities are just some of the new-age ways to find the best contingent talent across the world. In fact, some of the best sourcing tools use artificial intelligence to fine-tune the entire talent acquisition process. Data Analytics to Plan for the Future: Predictive analytics can allow a company to forecast their demand with a great deal of accuracy. Without a knowledge of what the job requirements are on a large scale, TTM is not possible. This is where data analytics plays a big role. By studying past and present requirements, market conditions, and scope for growth, and organization can not only predict workforce requirements but also strategize to find the best channels to reach them. Without data analytics, it’s really difficult to predict the scale of the passive candidate pipeline. A Consistent Candidate Experience Across the Board: Whether dealing with permanent or temporary employees, it’s important to maintain a consistent setup for each category as well as to motivate temp employees the same way as permanent ones. This requires the company to invest in creating a detailed engagement and benefits plan for contingent talent. Programs like career support, financial incentives and healthcare can go a long way in ensuring good retention levels. Total talent management will become an inevitable priority for all organizations in order to strive and excel. The blend of non-traditional employees with the permanent workforce, while challenging, is also loaded with benefits. Apart from gaining access to a wider talent pool and reducing the cost factor significantly, a well-managed TTM program also provides much-needed visibility into your entire workforce. Companies operating at a large scale with the resources to implement this strategy are likely to see highly positive results for their overall recruitment strategy. 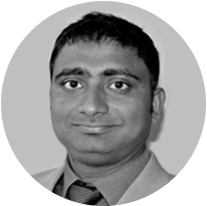 Praneeth has over a decade of hands-on experience in the Recruitment and HR Tech industry. He co-founded an award-winning recruitment marketplace named Jobhuk. Currently, he is leading Product Development at Compunnel to leverage machine learning and bring efficiency into CW programs. Is AI Triggering a Rise in Temporary Jobs?